A Pakistani official claimed today that Osama Bin Laden was betrayed by one of his wives who revealed the location of his Pakistan hideaway because she was jealous of his youngest spouse. Khairiah Saber, the oldest of his five wives, was motivated by revenge because Osama Bin Laden was “bedding” Amal Ahmed Abdel-Fatah al-Sada while she slept in a bedroom on the floor below, according to Shaukat Qadir. Retired brigadier Shaukat Qadir, who has investigated the U.S. operation which killed Osama Bin Laden in May 2011, also controversially claims that Khairiah Saber may have been working with Al-Qaeda itself. Shaukat Qadir believes word that “someone very important” was living in Abbottabad got out to the Taliban, Pakistan’s ISI military intelligence service and ultimately the CIA. He suggests that Al-Qaeda was looking to cash in on the $25 million bounty on his head. But he said he has no proof. Pakistan claims it had not been warned about the raid, but Shaukat Qadir’s claims suggest elements in the intelligence service may have been aware. According to the Sunday Times, it was also said that Osama Bin Laden understood what was happening, but had lost the will to live. Trouble arose when Khairiah Saber, the mother of at least five of Osama Bin Laden’s sons, showed up at the compound in early 2011. After 9/11, Khairiah Saber spent years under house arrest in Iran until, after her release in 2008, she told Al-Qaeda she wanted to be rejoin her husband, according to Shaukat Qadir. The arrival of Khairiah Saber, a well-educated Saudi in her 60’s, was disruptive, particularly for Amal, Osama Bin Laden’s fifth wife, Siham Sabar, and her 24-year-old son, Khalid. 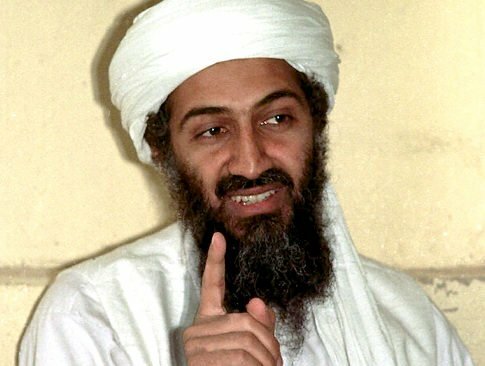 His theories go against the U.S version of events which states that Osama Bin Laden was tracked to his secret compound by following a “courier” who was his contact with the terrorist organization. The picture of Osama Bin Laden’s family life comes after Shaukat Qadir was given rare access to transcripts of Pakistani intelligence’s interrogation of Amal, who was detained in the raid. Others in the family, crammed into the three-story villa Abbottabad compound where Osama Bin Laden would eventually be killed in a May 2 U.S. raid, were convinced that the eldest wife intended to betray the al-Qaeda leader. Indeed, the compound where Osama Bin Laden lived since mid-2005 was a crowded place, with 28 residents – including Bin Laden, his three wives, eight of his children and five of his grandchildren. Osama Bin Laden’s children age range was from 24-year-old son Khalid, who was killed in the raid, to a 3-year-old born during their time in Abbottabad. His courier, the courier’s brother and their wives and children also lived in the compound. Osama Bin Laden’s home life was stirred up when Khairiah Saber joined the fray. There was already bad blood between Khairiah Saber, who married Osama Bin Laden in the late 1980’s, and Amal because of his favoritism for the younger Yemeni woman. Even ISI officials who questioned Khairiah Saber after the raid were daunted by her. “She is so aggressive that she borders on being intimidating,” Shaukat Qadir said he was told by an ISI interrogator. Amal stayed close to Osama Bin Laden as he fled Afghanistan into Pakistan following the 2001 U.S. invasion. She took an active role in arranging protection for him and Osama Bin Laden wanted her by his side, the tribal leaders told Shaukat Qadir. Khairiah Saber fled Afghanistan in 2001 into Iran along with other Osama Bin Laden relatives and al-Qaeda figures. She and others were held under house arrest in Iran until 2010, when Tehran let them leave in a swap for an Iranian diplomat kidnapped in Pakistan’s frontier city of Peshawar. Khairiah Saber showed up at Abbottabad in February or March 2011 and moved into the villa’s second floor, Amal told her interrogators. Khalid, Osama Bin Laden’s son with Siham Sabar, was suspicious, according to Amal’s account. He repeatedly asked Khairiah Saber why she had come. At one point, she told him: “I have one final duty to perform for my husband.” Khalid immediately told his father what she had said and warned that she intended to betray him. Amal, who shared Khalid’s fears, said Osama Bin Laden was also suspicious but was unconcerned, acting as if fate would decide, according to Shaukat Qadir’s recounting of the interrogation transcript. There is no evidence Khairiah Saber had any role in Osama Bin Laden’s end. Accounts by Pakistani and U.S. intelligence officials since the May 2 raid have made no mention of her. Instead, U.S. officials have said the courier inadvertently led the CIA to the Abbottabad villa after they uncovered him in a monitored phone call.